This cereal is strangely delightful... at first. It seems like just a jumble of different cereals you might put together at home if all your cereal boxes were nearly empty. Medley Crunch is a combination of Honey Nut Cheerios, crispy flakes and a smattering of tiny oat and almond clusters. At first taste, this new cereal is a nice reminder that good old Honey Nut Cheerios is a great cereal. The Honey Nut Cheerios pieces are the most prominent in terms of flavor and fairly even with the flakes in terms of volume. Recently, I reviewed a cereal from Post called Grape-Nuts Fit. That was also a mad combination of different cereal pieces, but in that cereal, the textures of the various pieces fought with each other and resulted in mouthfeel-chaos. The textures in this cereal work better together. Everything is crunchy at the same time. When it sets in milk, everything softens at a similar rate. 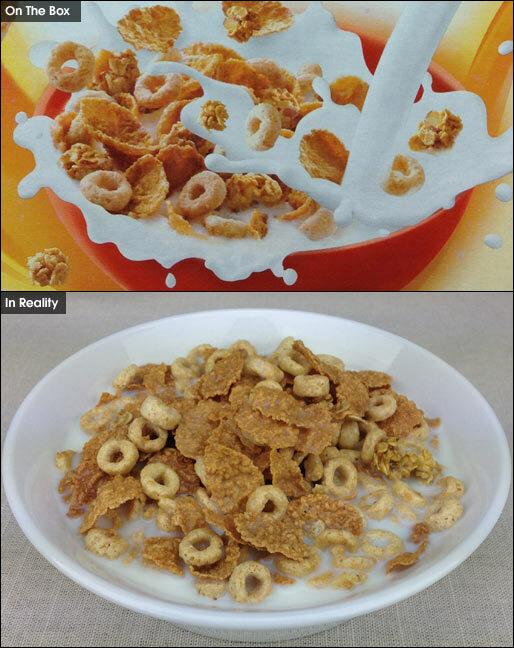 The "crunch" in Honey Nut Cheerios Medley Crunch is maybe a little misleading. Everything is crunchy... for about 2 minutes. After that, only the tiny cluster pieces retain anything that could really be called a crunch. I would have liked to have seen more of those cluster pieces. When you're halfway through a bowl, their pleasant crunch is more of a sneaky surprise than a spoon-by-spoon element of the cereal. The biggest negative factor of this cereal is that it gets dull by the end of a serving. As everything softens, the distinction between the taste of the different pieces gets blurred, resulting in sort of diluted Honey Nut Cheerios flavor that will make you miss the original cereal. All that said, I really enjoyed the first 2/3 of my serving. If you made a blended cereal concoction like this on your own, you'd probably be happy with your efforts but I'd be surprised if you did it again. If this cereal sounds fun, I say try it. If you're low on cash and can only afford one cereal this week, get original Honey Nut Cheerios. It's better without all the added malarkey. Nutritional Considerations: Each 3/4 cup serving of this cereal has 120 calories, 1.5 grams total fat (0 saturated and 0 trans), 0 mg cholesterol, 120 mg sodium, 24 grams total carbs, 2 grams dietary fiber, 9 grams sugar and 3 grams protein. 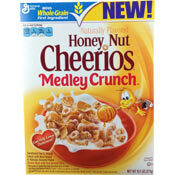 What do you think of Honey Nut Cheerios Medley Crunch? My favorite cereal! Have this for breakfast every morning and never get tired of it. My favorite cereal. It stays crunchy and has a great taste. Also great to eat dry. This cereal by far to me is the best. Lots of crunch and doesn't loose its flavor or crunch if consumed in a timely manner. It will get soggy like any other cereal. Added cranberries would be good also. This cereal just has a little too much going on for me. The mix of textures provides a strange feel in the mouth. It's just not a cohesive blend. It was fun to try, but regular ol' Honey Nut Cheerios is a far superior cereal. Not nearly as good as I hoped or expected, something just went wrong somewhere. Almost like the added stuff "dilutes" the basic flavor. 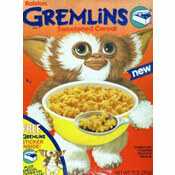 Not a bad cereal, but certainly not a good one. I eat Medley Crunch 4x a week. I have IBS so this is one way I get my fiber when I'm tired of steel cut oatmeal. I'm allergic to milk, so I largely eat my cereals dry. This one was a delight! I really enjoyed the flavor, and with no milk, I found it to be quite crunchy!